Custom design meets custom cabinetry. My agency was intimately involved from even before the beginning of this venture born from common minds and common goals. 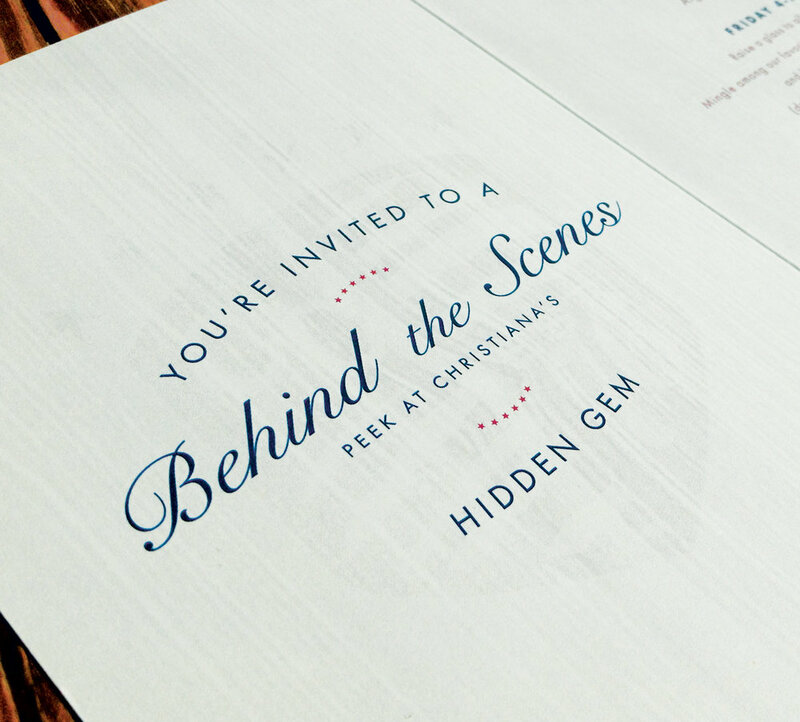 Once this new endeavor was ready to be introduced, I designed Open House Invitations featuring the branding we created for Christiana Factory Studio along with new typographic work I developed to describe the behind-the-scenes peek invitees were welcomed to. 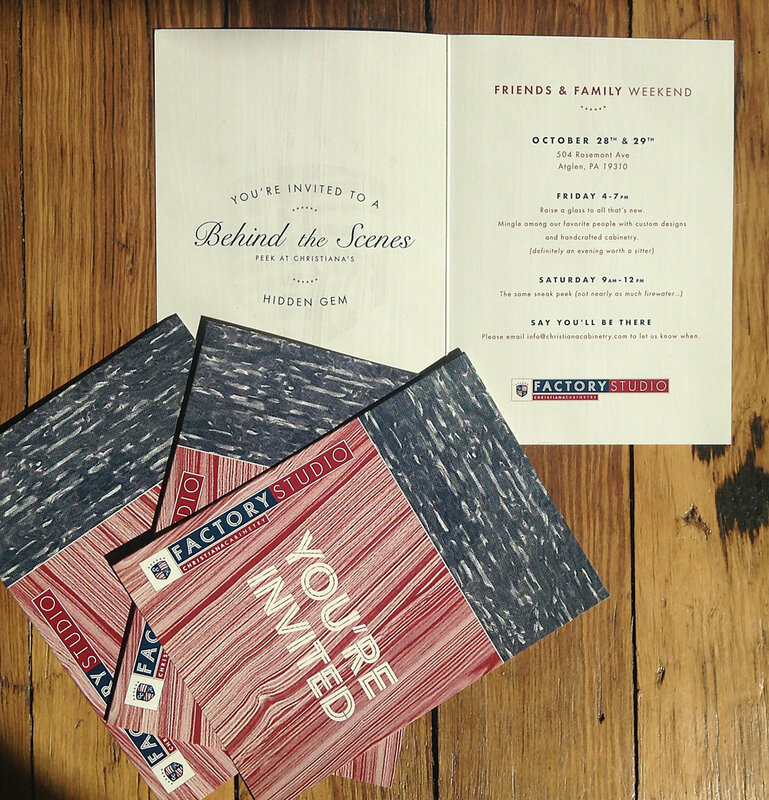 The front of the invite features a custom font based off of Avenir Next, which I elaborated upon to create an entire alphabet used to further communicate CFS's brand here and on their website, print ads and social media marketing. I worked directly with vendors to produce embroidered logos for branded apparel. My team and I brainstormed a social media schedule which brought more traction to their Instagram and Facebook with static and animated posts. Designed by a member of my team and maintained by all of us. Updated when necessary with new projects, photos & content.